Professor Richard Green posted his own commentary on my images. Mathematician, geek, wordsmith, singer, problem-solver and uncle Steve Kass made some Gamma function fractals of his own. Twitter user @mathinpython has produced a great step-by-step guide to creating factorial fractals in Python. 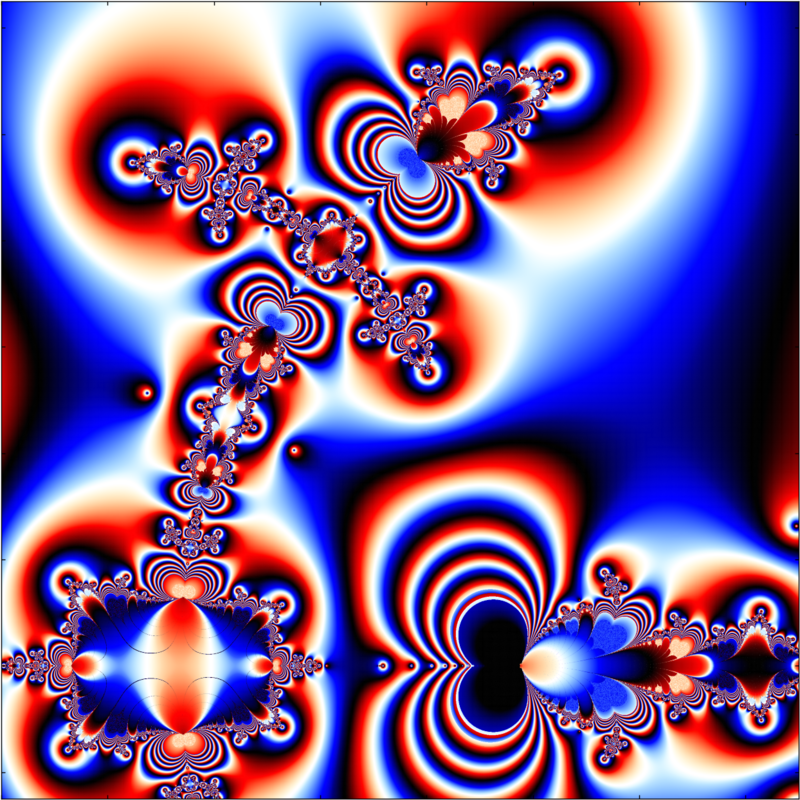 Steve Kass also directed me to this page, in which academic multitasker in computer science, neuroscience, philosophy and future studies Anders Sandberg presents some lovely alternative Gamma function fractals (posted in February). Intriguingly, the author has also co-written an academic paper on the science of tie-knots (apparently inspired by a costume from The Matrix Reloaded), which identifies “266,682 distinct tie-knots that seem tie-able with a normal neck-tie”. Surely worth a read. In other news, I recently passed my PhD viva, which is probably for the best. Among other things, this means that my putative article on “How to fail your PhD” will have to be put on ice indefinitely. This entry was posted in Maths and tagged Factorial, Fractals, Maths, PhD on June 1, 2015 by thomas. UPDATE: See the bottom of this post for new, higher definition, full-colour fractals! 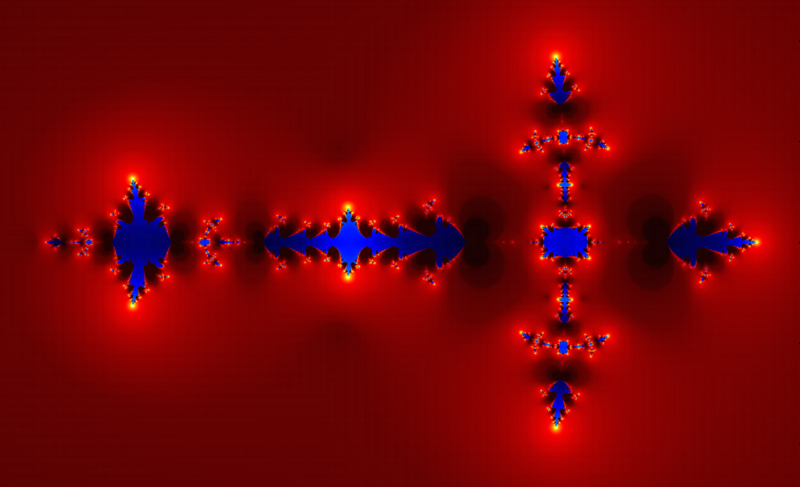 While messing around with factorials, I stumbled across some unexpected and elegant fractal images. This entry was posted in Maths and tagged Beautiful, Complex Numbers, Factorial, Fractals, Maths on May 14, 2015 by thomas.